Quinnipiac University School of Law Professors John Thomas and Sheila Hayre. 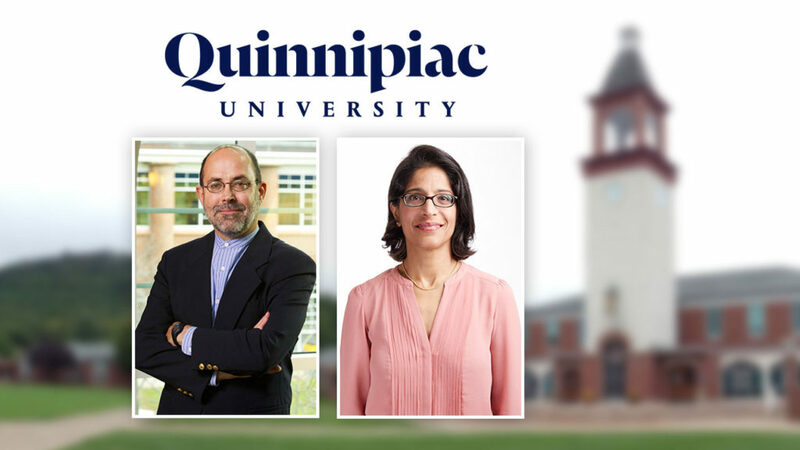 Two immigration experts will discuss the “Changing Immigration Law and Policy” on Tuesday, March 28, at 5 p.m. in the Ceremonial Courtroom at the Quinnipiac University School of Law Center, 370 Bassett Road. This event is free and open to the public. John Thomas, a professor at the School of Law and the Frank H. Netter MD School of Medicine at Quinnipiac, and Sheila Hayre, an adjunct law professor at Quinnipiac, will discuss the Trump administration’s modifications to previous immigration law and policy, including litigation concerning both versions of the administration’s “travel ban.” The professors also will address the social and public health implications of these developments. This program is part of a new School of Law series, “Law and Civil Discourse in a Time of Change,” which has been developed to increase understanding and facilitate civil discourse around important areas of policy that have changed or may change during President Donald Trump’s administration.